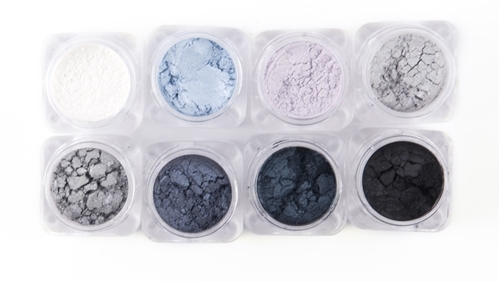 Make your eyes dazzle with this icy blend of whites, blues, silvers & black. Perfect your smokey eye look or keep it cool with an icy white. Beautiful evening look!